Show 2019-03-10 New 6 wheelchair & 3 passenger lift bus Micro Bird announced today the introduction of its new 6 wheelchair & 3 passenger lift G5 school bus. The new platform retains all of Micro Bird’s key features and benefits, including its rear impact buffer and 32″ entrance door. 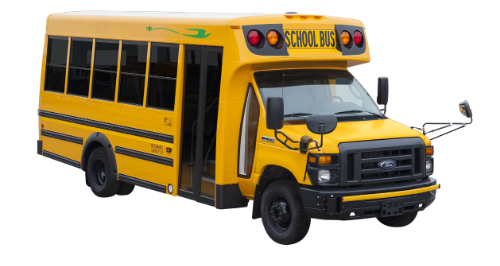 Show 2019-02-01 New 35 passenger DRUMMONDVILLE, Canada — Micro Bird announced today the introduction of its new 35-passenger G5 school bus. The new platform retains all of Micro Bird’s key features and benefits, including its rear impact buffer and 32″ entrance door. Show 2019-02-01 Micro Bird names new chief commercial officer Micro Bird named Normand Pâquet as its new chief commercial officer. Normand Pâquet has been the VP, sales and marketing, for 11 years, and has held a variety of senior roles with Micro Bird as well as before he joined the bus manufacturer in 2007, according to Micro Bird.